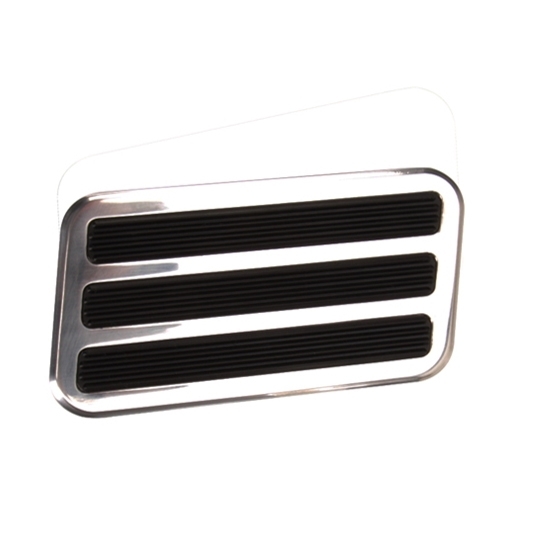 These universal brake pedal pads are perfect for customs and street rods. They come with 3 non-slip rubber inserts and feature a polished aluminum finish. Brake pad dimensions: 4-1/8" x 2-1/2"